Japanese inverter maker Tabuchi Electric and storage software provider Geli have teamed up to offer a residential solar-plus-storage solution for the North American market. Tabuchi first debuted its solar inverter-energy storage system at Intersolar in July. The system is already installed in more than 1,000 Japanese homes and is now ready for sale in the U.S. and Canada. It marries a 5.5-kilowatt solar inverter with a bidirectional DC-to-DC battery power converter and a 10-kilowatt-hour Panasonic lithium-ion battery pack. The system comes with a 10-year warranty and can be used for backup power, peak shaving, or to sell power back to the grid. 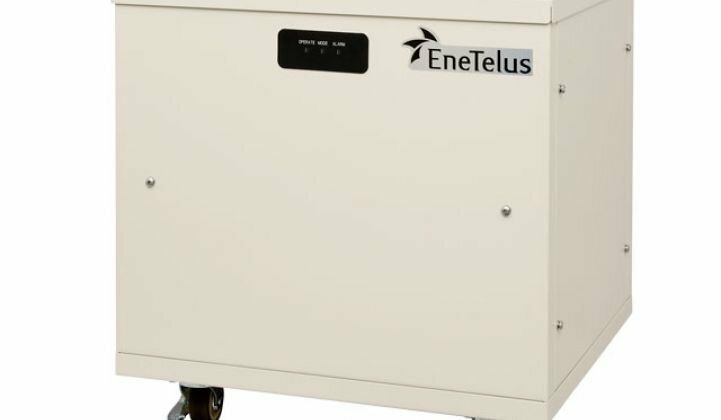 The North American offering of Tabuchi’s EneTelus Intelligent Battery System (EIBS) solar-plus-storage solution will also come with Geli’s software, which manages the battery system’s grid connection and will allow for interconnection with other devices in the home, such as smart thermostats and pool pumps. By reaching further into the home, the companies say utilities will be able to manage these systems as a fleet for more tailored demand response and also improve grid operations in regions such as California, Hawaii, the Northeast and Ontario, which are leading markets for behind-the-meter energy storage. The companies also touted the ease of setup for installers and cloud connectivity for consumers, both of which are important in a competitive market that includes various partnerships such as Tesla and SolarCity, Sungevity and Sonnenbatterie, SunPower and Sunverge, Sunrun and Outback Power, and Enphase and Eliiy. At this year's Intersolar conference, behind-the-meter energy storage solutions represented nearly 5 percent of all displayed products at the tradeshow. Unlike the case with some products that have been announced but have not yet hit the market, Tabuchi is emphasizing that its energy storage system is currently available. Some companies that are partners on one front are also competitors in other markets in the burgeoning world of energy storage. Panasonic, for instance, makes lithium-ion batteries for Tesla Motors. 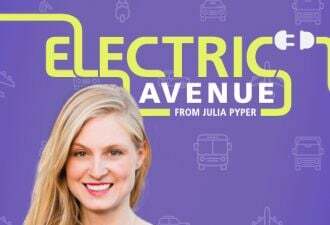 But the two companies will go head-to-head in Germany to gain market share for home batteries. Panasonic has estimated the home energy storage market could bring in $83 million in revenue outside of Japan in 2018, according to Bloomberg. For the North American market, Tabuchi’s system has been piloted in Ontario, according to Greentech Media’s Jeff St. John. The Ontario grid operator is interested in energy storage to smooth out peaks from solar output. Tabuchi is also working with Hawaiian Electric Co. to divert solar power to batteries instead of having it fed back onto the grid under certain conditions. Tabuchi and Geli announced their residential offering ahead of Solar Power International next week, but Geli’s system will also underpin a platform for the commercial market, Tabuchi said in July. An analysis by Geli found that with a total system cost of $350 per kilowatt-hour for behind-the-meter energy storage, there are 670 tariffs from 246 utilities in 38 states that could make for attractive market opportunities. But Geli acknowledges that the next question is how many consumers, commercial or residential, are actually on those tariffs. Eventually, the market will have to move beyond a business case of just demand-charge management and compete by offering more granular grid services -- something that Geli and Tabuchi assert their system is ready to do today.